As we are posting the June 2018 issue of Terrorism: An Electronic Journal & Knowledge Base, I wish to remind our readers that this academic effort was initially developed in 1998 as an on-line follow-up to Terrorism: An International Journal, published in 1977 by Crane, Russak in New York and subsequently by Taylor and Francis in the U.K. As director of the State University of New York (SUNY) Institute for Studies in International Terrorism, it was my honor to serve as the founder and Editor-in-Chief of these two publications. 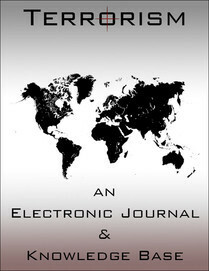 In its current form, Terrorism: An Electronic Journal & Knowledge Base was launched again in August 2012 in order to provide continuity to earlier studies on the “Age of Terrorism” and to close research gaps in the growing literature on the manifold aspects of the emerging disciplinary subject. Our primary objective is to focus on identifying warning signals on conventional and unconventional terrorism in the post 9/11 era and recommend national, regional, and global strategies to confront potential security challenges to all societies. “It is with extreme sadness that we share that our esteemed colleague and friend, Colonel Thomas M. O’Leary, USMC (Ret.) passed away on Tuesday, June 5, 2018. Words cannot even begin to express our sorrow upon losing such an important part of the Potomac Institute family. Tom O'Leary served as the Executive Vice President, Chief Operating Officer, and board member of the Potomac Institute for Policy Studies. He retired from the Marine Corps in 2001. In July of 2001, he joined the Potomac Institute for Policy Studies as a Senior Research Fellow and was subsequently detailed as an IPA from Potomac Institute to the Department of Navy. While an IPA, he served as the first Program Manager for the Littoral Combat Future Naval Capabilities program, then as the Director, Expeditionary Warfare Operations Technology Division, Office of Naval Research, and finally as Technical Director, Marine Corps Warfighting Lab. As a Marine, he served in a variety of service and joint command and staff assignments. He participated in several operations to include the Multi-National Peace-Keeping Force, Beirut; Operation Snowcap; Operation Desert Shield; Operation Desert Storm; Operation Sea Angel; and Operation Restore Hope. He also participated in the Marine Corps' Advanced Warfighting Experiments (AWE) Hunter Warrior and Urban Warrior. Upon retiring from the Marine Corps, he joined the Institute for Defense Analyses as a Research Staff Member where he was the Task Leader for the Joint Study on Effects Based Operations. Second, this issue consists of selected presentations by invited speakers from both public and private sectors that were delivered at several seminars held in 2018. The leading publication of this issue draws from the special seminar on “Punctuated Equilibria Paradigm and Security in the Modern World”, that was held in February 27, 2018 at the Potomac Institute for Policy Studies. This event was co-sponsored by the Potomac Institute for Policy Studies, the Inter-University Center for Terrorism Studies, the Embassy of the Czech Republic in Washington D.C., Charles University in Prague, and the Chief of Staff of the Czech Armed Forces. Speakers included Professor Miroslav Barta, Professor of Egyptology at Charles University; Professor Martin Kovar, and Vice-Rector for Public Affairs at Charles University; Brigadier General Karel Rehka, Multinational Division North East Deputy Commander in Elblag, Poland; and Lieutenant Colonel Otakar Foltyn, Special Forces Directorate, General Staff of the Armed Forces. The event was moderated by Professor Yonah Alexander, Director of the Inter-University Center for Terrorism Studies. Welcoming and closing remarks were provided by General Alfred Gray, Twenty-Ninth Commandant of the United States Marine Corps, Senior Fellow and Chairman of the Board of Regents, Potomac Institute for Policy Studies; and Colonel Tom O’Leary, USMC (ret. ), Executive Vice President and COO, Potomac Institute for Policy Studies. Other selected seminar proceedings included in this issue were co-sponsored by: The Potomac Institute for Policy Studies, the Inter-University Center for Terrorism Studies, the International Law Institute, and The University of Virginia School of Law. The March , 2018 event on “Balkan Security Challenges: Past Lessons and Future Outlook” offers presentations by Ambassador Floreta Faber, Embassy of Albania; Ambassador Nebojša N. Kaluđerović, Embassy of Montenegro; and Richard Prosen, Office of European Security Political, and Military Affairs (EUR/RPM), U.S. Department of State. The April 30, 2018 event, “Combating Terrorism: National, Regional, and Global Lessons for the Next Decade and Beyond”, held at the National Press Club featured presentations by The Honorable Guy Roberts, Assistant Secretary of Defense for Nuclear, Chemical, and Biological Defense Programs; Professor Rita Colwell, Distinguished University Professor at the University of Maryland, College Park and the Johns Hopkins University Bloomberg School of Public Health and Senior Fellow at Potomac Institute for Policy Studies; Carl Gershman, President of the National Endowment for Democracy and formerly Senior Counselor to the United States Representative to the United Nations; and Professor Marvin Kalb, Edward R. Murrow Professor Emeritus at Harvard University’s Kennedy School of Government, senior advisor to the Pulitzer Center on Crisis Reporting, and nonresident senior fellow at the Brookings Institution. The Event on “The Mystery of Mother Russia”, featured Professor Marvin Kalb in honor of his book, The Year I was Peter the Great, published in 2017 and was held on June 25, 2018 at the International Law Institute. A special commentary on “Preparing Diplomats for the Long War” was authored by Ambassador (ret.) Charles Ray, former US Ambassador to Cambodia and Zimbabwe, and Deputy Assistant Secretary of Defense for POW/Missing Personnel Affairs. We are also pleased to include in this issue, selected research on the Balkans, both historical context and timelines (January through June, 2018) that was prepared by participants at our Summer 2018 internship program, who include Talia Andreottola (American University), John Keblish (University of Pennsylvania), Catie Ladas (University of Maryland), Robin O’Luanaigh (University of North Carolina), David Matvey (Carnegie Mellon University), Emily Nestler (College at Brockport SUNY), Lavanya Rajpal (Georgetown University), and Lauren Sasseville (College of William and Mary). These interns also contributed to selected daily chronologies covering the period April – June 2018. Other contributors to this section were also members of the Spring 2018 internship program, including Lilli Abraham (George Washington University), Julieta Barbiero (American University), Gabriela Garrett (Wichita State University), Gabrielle Labitt (University of Massachusetts Lowell), Hunter McWilliams (Skidmore College), Samuel Ridge (University of California, Berkeley), and Abdulrahman Sanee (University of California, Davis). Lastly, I would like to thank my colleagues on the International Advisory Board and the editorial staff for their continuing support of our publication. Thanks are due to Sharon Layani for her exceptional coordination of the editorial staff of this issue in addition to David Silverman and Dante Moreno. We also express our appreciation to Adam Mouchtar, a Special Editorial Advisor on European Affairs. As always, we encourage other academics and professionals globally to contribute to our research activities in the coming months and years.